The history of Faith Presbyterian Church began with Rev. 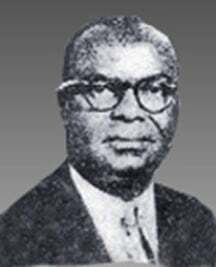 Waymon Jefferson Gipson who was called by the Jackson Presbyterian Council to be the founding Pastor and pioneer in starting Presbyterianism for Blacks in the City of Jackson in 1947. He served in this capacity until 1964. Rev. Gipson's labor and ministry of seventeen years were primarily for the Georgetown community of Jackson and for Virden Chapel, a small mission church in the Virden Addition community. Under the ministry of Faith's second Pastor, Rev. William Jones, the Virden Chapel merged with the Faith Church and the combined congregations relocated and built a new edifice in the Virden Addition community. Faith Church continues to be a spiritual church deeply involved in community, ministry and the betterment of the total individual. Faith Presbyterian Church has also produced several candidates who have answered "the call" to proclaim the Gospel, two of which have served as Pastors of this church - Rev. William Jones and Rev. Leon Bracey. Several hundred students have graduated from the Children's Learning Center and have gone on to make meaningful contributions in a wide range of vocations. The voice of Faith Church has been heard and acknowledged throughout our national church. Faith Church has a momentous history. Many old churches stand in the community as monuments of the past. These monuments are old, gray, cold and lifeless. The vision of the church is not to be a monument, nor to glory in our past, but to be an instrument or a tool to be used now and for the future. An instrument that answers the call "to preach the gospel to the poor, to heal the brokenhearted, to preach deliverance to the captives, to recover sight to the blind, to set at liberty them that are bruised, to preach the acceptable year of the Lord." (Luke 4:18-19) Our "Vision" is to make a meaningful difference in the lives and conditions of the people of the community in the wonderful name of Jesus. While we give praise and thanksgiving to God for our past, our vision is to make life and hope realistic for all of God's people, near and far. We thank God for our past, we worship Him for our present, and we wait expectantly for the blessings He has prepared for our future.